Just made this for supper tonight. I’d forgotten how good it tastes (wasn’t convinced as I was cooking it but adding lemon and olive oil to the cous cous adds flavour without relying on salt, and the lemon rind lifts the sauce. I didn’t have red onions and I forgot the puree but it still went down well. Makes two meals for family of 4 and costs about £7 to make. The chickpeas and haricot beans provide good high quality protein, and it’s just a great, light Summer stew..
We had this this for supper a few nights ago. The photo above is of the leftovers we had for lunch the next day. 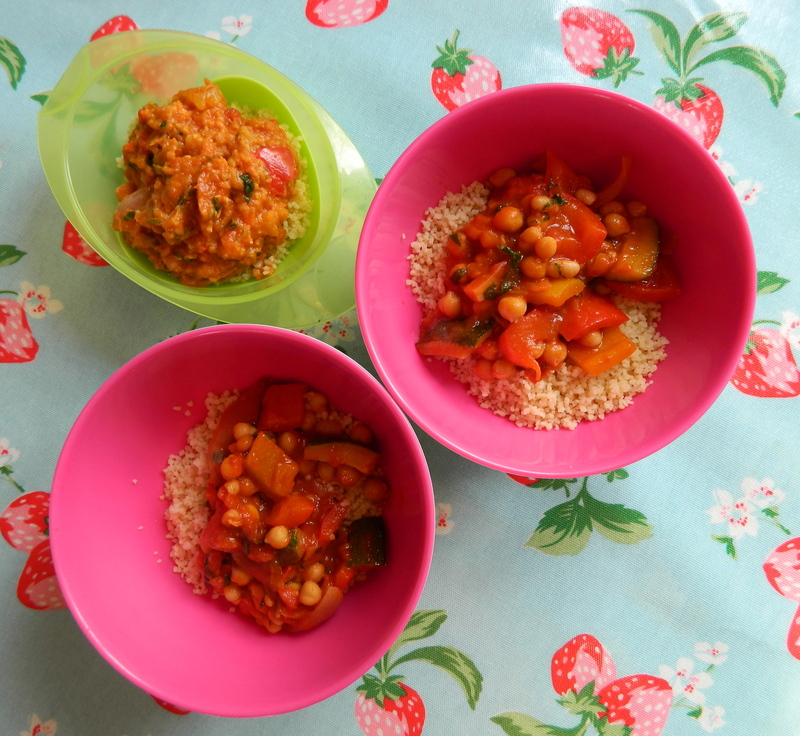 I didn’t have time to chop the stew up into smaller pieces for my baby (this stew works best with chunky vegetables) – I am always in a last minute rush when I make meals – so I gave her chickpeas and haricot beans and some veg to eat with her fingers along with the stew which had been briefly whizzed. 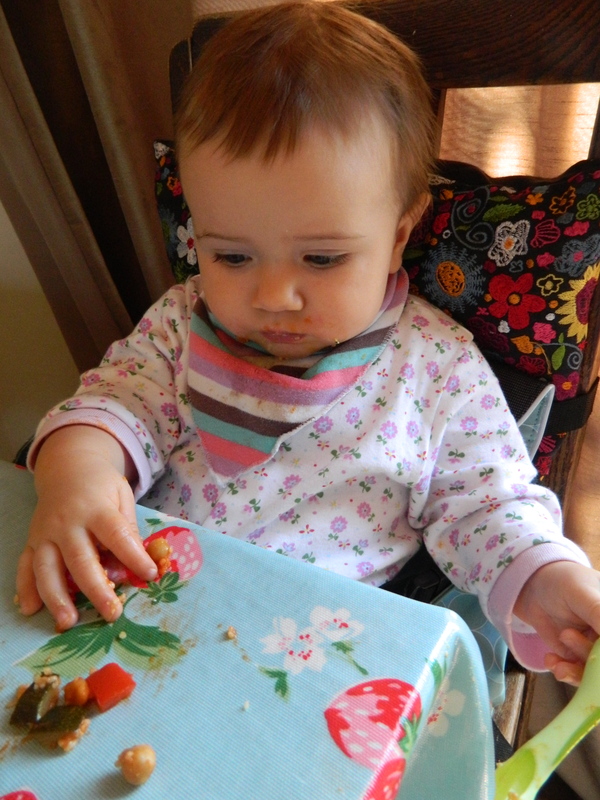 Now that she’s 9 months old she’s really honed her pincer grasp and sits absorbed at the dinner table picking up small pieces of food. Some of those pieces of food she casually drops on the floor but most do end up being eaten.